Today I am going to tell you the three most important supplements you need every single day. Take it from Staten Island Chiropractor Dr. Victor Dolan, based on my experience as a chiropractor and nutritionist for almost thirty years, these three supplements will jump start you on your way to superior long-term health. Also, in my audio podcast today, I will detail the supplements you can take to reduce and even eliminate pain and inflammation. Proper diet and nutrient intake can be a powerful tool in reducing problems you may be having with back pain, neck pain and joint pain. So listen to my podcast for information about how an understanding of supplementation can put you in charge of your pain. As a chiropractor and nutritionist, I see many people in my Staten Island office suffering with a lot of pain due to inflammation. With proper nutritional guidance, many of my patients can turn around their condition in a matter of days--some of whom have been pain-sufferers for years. One powerful inflammation-reducing supplement you can use is proteolytic enzymes. 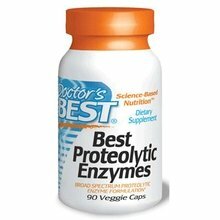 I have found DOCTOR'S BEST Proteolytic Enzymes to be an excellent supplement that I recommend to my patients, and that I use myself when I have pain from inflammation. By the way, for your shopping convenience, the supplements I talk about today are all currently in stock at Dr. Victor Dolan's Vitamin Store. In general, studies indicate that Americans on the whole are just not getting optimal levels of nutrient intake. Studies by the US Department of Health and Human Services demonstrate that the Standard American Diet is not providing a sufficient level of vitamins and minerals for the average American citizen. The SAD tends to consist of high-calorie, low-nutrient ingredients which are often highly processed, genetically modified and hybridized, not to mention that these "foods" are grown in nutrient-depleted soils and then shipped sometimes thousands of miles to your local grocery. Can there be little wonder that many Americans are nutritionally deficient? Other studies such as those done by the Lewin Group tell us that we might all be a lot healthier in the long run if we add just a few basic nutrients to our diet through supplementation. A lifetime of poor nutrition has resulted in an epidemic of disease for many Americans in later life because vitamin deficiency tends to lead to what we call long-latency deficiency diseases such as cancer, diabetes, blindness, osteoporosis, heart disease and dementia which most Americans have come to accept as a normal part of aging. But this does not have to be. There are a number of age-related illnesses that can be delayed or even prevented with the application of vitamin and mineral supplements as a regular part of your lifestyle. Just a few key nutritional supplements can dramatically reduce chronic disease. It has been proven that taking supplements improve your brain function and psychological orientation and boost your overall immune system. Indeed, the use of supplements can improve your overall health and long-term well-being! Make sure your multivitamin contains mixed Carotenoids, which include Lutein and Zeaxanthin. In addition it should contain Calcium and Magnesium as well as Folate and a mixed B-complex vitamin. Calcium can result in reduced bone loss and fewer hip fractures as you age, while Lutein and Zeaxanthin have been shown to help reduce or eliminate Macular Degeneration--and loss of vision is a major reason people need nursing home care. 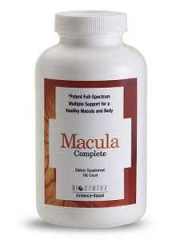 A good multi is hard to find, however, but one that covers all the bases is MACULA COMPLETE Multiple Nutrients. This is a really high-quality multi from a company that I trust. I use it every day. It is a premium broad-spectrum dietary supplement of vitamins, minerals and antioxidant phytochemicals designed to support optimal body and retinal function. When you take Macula Complete you do not need additional multiple vitamin supplements. Studies indicate you need about 1,000 to 2,000 IU a day. Vitamin D deficiencies have been related to numerous age-related illnesses including cancer and heart disease. Studies indicate that most Americans are extremely Vitamin D deficient as most of us spend our days inside offices, then use sunscreen blocks which prevents our bodies from obtaining Vitamin D from sun exposure, while those of us in the northern latitudes get no benefit from the sun during the winter months from November to April. I have found CARLSON'S Vitamin D3 (2000 IU) Softgel to be an excellent product and taking one gel a day meets your Vitamin D needs. I take them every day. From a quality-conscious manufacturer. Your Omega-3 supplement should contain the fats EPA and DHA, in the amount of 1,000 to 2,000 mg a day. Omega-3 fatty acids help with numerous bodily functions including the lowering of cholesterol and blood pressure, prevention of cardiac arrhythmias, improvement of cell membrane function and reduction of inflammation. I recommend ZoOMEGA-3 Concentrated Pharmaceutical-Grade Fish Oil. I wouldn't feel right without taking my Omega-3s every day. And this is a premium product made by a company that cares about quality. Take if from Staten Island Chiropractor Dr. Victor Dolan and numerous other nutritional experts, taking these three supplements every day is a no-brainer. You can't lose because the potential benefits are so high while the cost is very low and all studies indicate that the risk for taking these nutritional supplements is virtually non-existent. So if it is your desire to live a long and healthy life, take your supplements every single day--you should see improvement in your energy, mental function and mood, plus your immune system will be the stronger for it--and as you age, you may not be visited by that array of diseases that Americans have grown to take for granted as a typical part of growing older. You can find the supplements I talk about in today's podcast--and much more--at Dr. Victor Dolan's Vitamin Store. Don't hesitate to take this positive step toward better health today! Add your Comments about this article on Dr. Victor Dolan's Facebook Page. What supplements do you take? Sign up for Dr. Victor Dolan's Healthy Updates in the box on the right. Browse some of Dr. Victor Dolan's informative Health Videos. 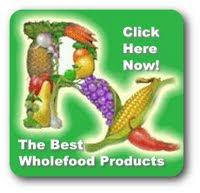 Browse Staten Island Chiropractor Dr. Victor Dolan's Vitamin Store right now!